There are currently 3,587 users on this website. 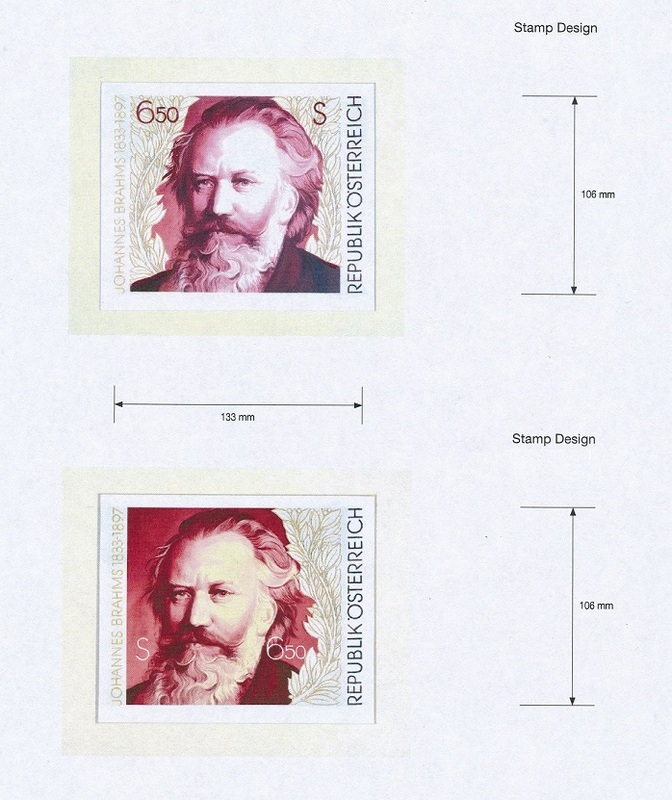 Professor Otto Stefferl, Austrian stamp designer and engraver. 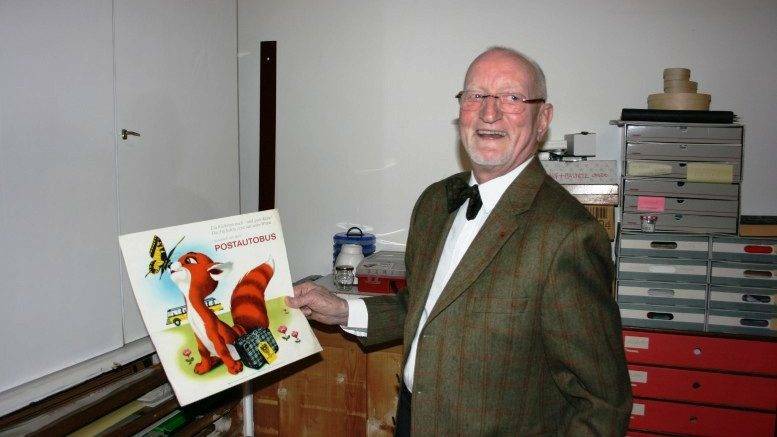 Professor Otto Stefferl received training from Professor Hubert Woyty-Wimmer (1901 -1972) on engraving techniques; all of Hubert's engraving tools were given to Otto, which he cherished. When asked Otto about the designs he submitted to the Post Office and how competitive it was when Austria had talented other artists also submitting their designs simultaneously. When once he was turned down, at the early years, Otto told the Post Office that he would submit finished models only on the condition that he received the commission. As he put it, "I did not want to invest in failures". Otto completed the story with laughter adding "Post Office complied!" There are so many where all we have is a birth and death date. And for some engravers we don't even have that. lithograving: your favorites Austria Scott 1723 - 1724 are beauties indeed. Otto painted three models for each stamp. Here are the ones that did not get selected. canadian, thank you for showing those Stefferl models. lithograving: sadly, not mine; these were scanned for me by Professor Otto's relative. There are a few more, but I don't know if these are suitable to post here in the engraving thread. models, drawings etc. right here on this thread. BTW do you know if those models were done in watercolour? This is an excellent article outlining the intaglio printing process. 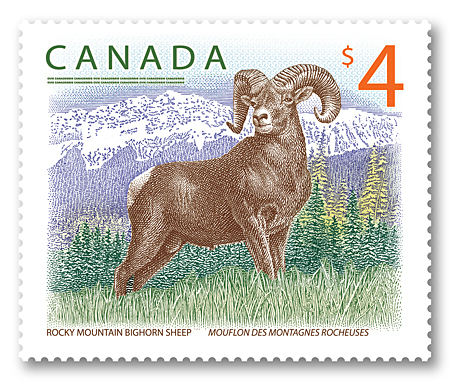 I hope others more knowledgeable than me, will comment on this new Canadian engraved stamp. I've been sorting my German engravers and have a question about catalogue descriptions of the Brown Ribbon stamps of 1943 and 1944. 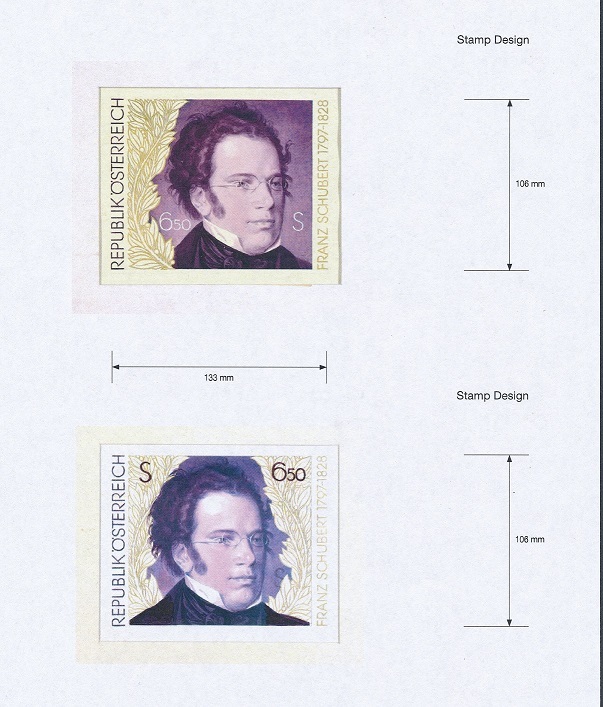 Both are described by Michel as engraved, but there's no engraver's name shown, even though names are shown on the stamps themselves. The 1943 stamp has the name of Zenziger at bottom right, and the 1944 one has Schuricht. Gibbons does show these two engravers for the stamps. There are similar inconsistencies elsewhere in this period between the two catalogues - I've assumed that usually Michel was probably more likely to be correct. Do people agree? Where do my two horses belong? "Michel" is good, but is not always right and does not always provide all the information. In this case, the matter is still clear: The stamps itself does not lie, they were of course engraved by the two Graveurs of the "Staatsdruckerei Wien" Rudolf Zenziger (* June 19, 1891 in Vienna, �) and Arthur Schuricht (* December 30, 1882 in Leipzig, � August 16, 1945 in Vienna). Thanks Cicero for your reply. On a different theme - I've long admired the beautiful Queen Victoria Chalon heads, based on a portrait painted when she was about 18. The stamps were issued by Canada, Nova Scotia, New Zealand, Tasmania, Bahamas, Natal, Queensland, Grenada, New Brunswick and Prince Edward Island, from the 1850s right up to 1870, when Victoria was 31. I know the first engraver to produce one was William Humphreys, and that some were engraved by Herbert Bourne and Alfred Jones. Were there other engravers? and who did which country? Were they all recess printed? Er, bit of a senior moment there! Victoria was born in 1819, so that makes her about 31 when the Chalon head first appeared and 51 when Prince Edward Island issued the last one. Did the article about the bighorn sheep say hpw it was engraved? My understanding is that all the Canadian stamps these days are "computer assisted". You are right jjarmstrong47, but incredible though it may seem, this new Canadian stamp is absolutely hand engraved, by Jorge Peral. Adrian kindly send me a copy of the article and I would recommend anyone who might be interested in modern engraved stamps to try to read it. Here is a copy of my response to Adrian. "So, if I read it rightly, like a lot of engravers, he etched a guide first then hand engraved it with a burin. Then, like Broux said in your interview, the final plate is done by computer generated laser engraving and as Broux pointed out, there is a loss of definition doing that but with the current economic climate, it is the only way to afford it. It would also make the colour separation easy as rather than hand engraving four different plates for the intaglio part, the computer would be able to analyse what is required from the original and produce the plates with far less work. I can understand why they do all this and it is good to see that Peral is able to show his skill with a burin again. It's also great to see the family connection. My only wish is that they should issue black prints from Peral's original plate. I'd buy one of those in a heartbeat while the "souvenirs" they are producing don't attract me at all."